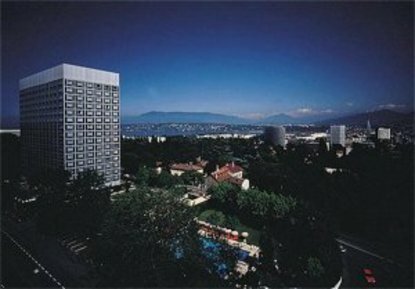 InterContinental Geneva is a stately, 18-storey tower in the centre of the diplomatic district. Surrounded by parkland, with Lake Geneva and the Alps visible in the distance, the hotel is close to the International Red Cross and Red Crescent Museum and the United Nations Office. Old Town, the Ariana Museum and the Botanical Gardens are also nearby. ** PLEASE NOTE: To better serve you and maximise your stay with us, our guestrooms will be under renovation throughout 2008. Rest assured we will do our utmost to make your stay as pleasurable as possible with minimum disruption.